Specially designed using a short stem with Nylon bristle for effective cleaning of flexible liners and metal flues. 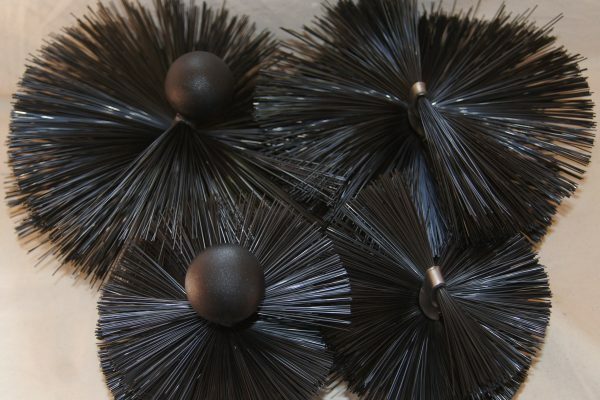 These brushes are even softer than the very popular Polypropylene versions. Suitable for power sweeping liners or manual sweeping of oil fired installations. 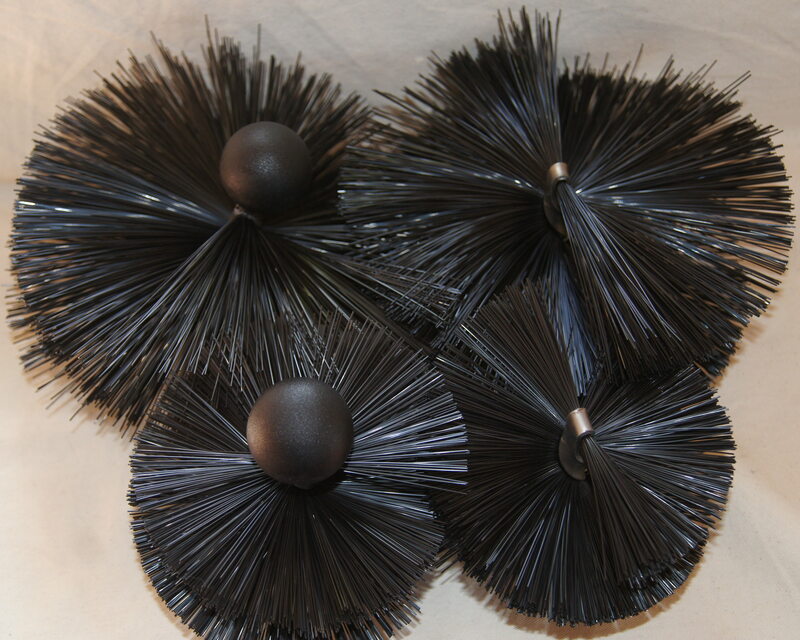 Choose from our standard single ended flue brush, or with a pinned ball end. 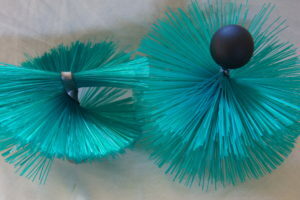 These handmade UK brushes are available with a choice of two sizes of Nylon bristle. The standard brush has a 1/2″ BSW thread, ideal for fitting straight on to our nylon Flexi Rod. 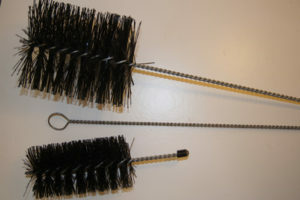 Or use with a suitable 1/2″ BSW adaptor to fit other manufacturers power sweeping rods. 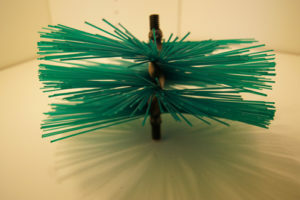 The bristles are densely packed and glued within the spiral to give additional strength and durability. When power sweeping, the soft bristle will be sufficient in the majority of situations. We only recommend power sweeping from the top down. Larger diameters available on request.